Setup A No-Obligation POOL and Give it a Test Drive! Run Your Own March Madness Contest Online! 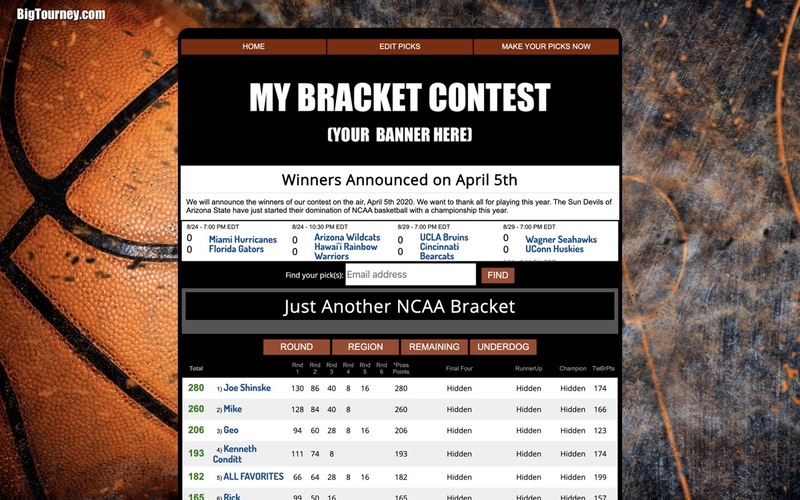 Manage your March Madness Bracket Pool contest with us. 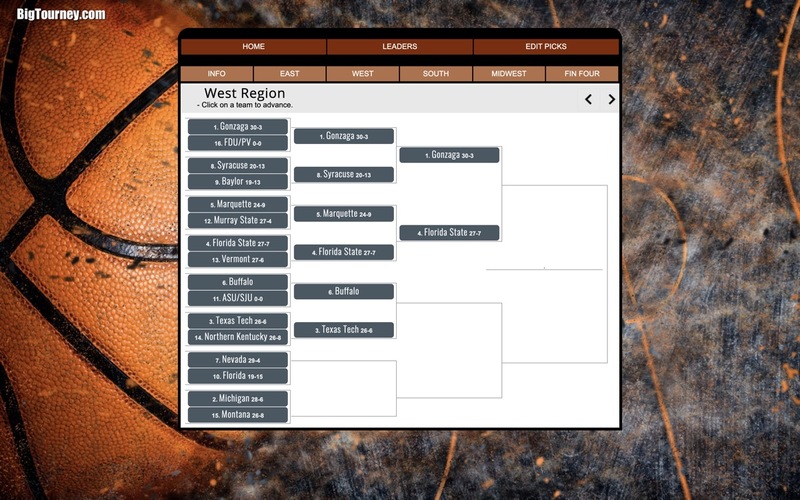 Get in on the excitement of this year's Mens NCAA Basketball Tournament with Unparalled Features and Automated Results. 1) BASIC 64 PLAY: By far the most popular way to play in which each entrant fills in their complete bracket all the way to the championship game. The brackets are due before the first tipoff on the opening Thursday games. Site administrator can enter brackets in after the deadline by using the ADMIN tools to enter them. 2) SPLIT BRACKETS: This game, created by popular demand is a 2 part entry. As with the previous game, enter your brackets, but only enter the first 2 rounds (first 48 games or opening weekend games). Then when the first week is complete, you fill in the entry for the rest of the tournament (last 15 games) all the way to the championship game. The matchups to choose from for this will be from the actual basketball winners (and not your correct or missed choices from the previous round). The fun of this game allows those who did not do so well in the first part, to be competitive and fare well in part 2. THANK YOU FOR RENEWING YOUR FANTASY LEAGUE. THIS CONTEST SOFTWARE IS FREE FOR YOUR USE. Point and click to make your picks. Advance teams all the way to the final game. Many way to view and analyze the results of your contest.